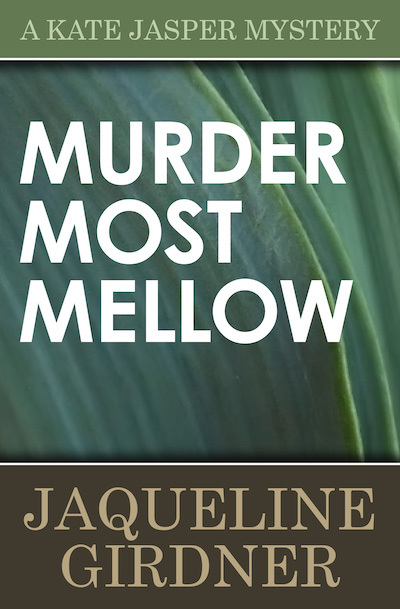 Kate Jasper, Marin County, California’s own organically grown amateur sleuth, returns in this third mystery in the series. Everyone in Marin County has a hot tub, or so it seems. In Murder Most Mellow, Kate hosts a “human potential” group meeting in her hot tub. It goes swimmingly for at least one of the members, the belligerently optimistic computer programmer Sarah Quinn. But Sarah spouts, “you create your own reality,” one time too many to the wrong person after the meeting. Sarah’s human potential is permanently short-circuited when she is electrocuted in her own hot tub by one of her programmable robots. And there's a killer human behind the killer robot. Is it a business associate, a lover, a relative, or worse yet . . . a member of Kate’s group? Kate is in hot water for real in this one, and it is on the boil.